The period of emergency moving from an ordinary worker to an entrepreneur is very impractical in the early stages. It is true that some argue that we will be the boss for ourselves, but this status will coincide with the consequences that are not light, burdened with various responsibilities. For a serious want to choose to be a business profession rather than a worker, it's good to think carefully about some important things before deciding to leave the old status as a worker. The first is about funding, it becomes the backbone and strength to pioneer new business. This point becomes so serious and important because it is very helpful for business owners to determine whether it can finance its business operations to successfully generate revenue. Because economic conditions due to exchange rates or government policies often make market conditions falter. The price of goods and services also follow-up cold heat. When prices rise, people will easily move to buy other similar goods at a lower price. This situation is a risk that must be understood for people who pursue any business. There are many businesses moving on the same plot, examples for automotive products, not only honda brands on the market but suzuki, yamaha, toyota also participate as automotive players. In essence, the business world is a world of business competition that requires the hard work of the owner with a business concept that is really unique and different. Government regulations or policies in the economy also contribute to creating market risk. For example, about the fuel price increase, it will increase the price of goods in the market. Looking at the three risks then I assure in the early years of starting a business, your financial condition will be shaken great, the question is you ready with the situation? Hard times as a new player in the market with no buyers at all will be a major source of financial difficulties in the early business. So, plan your overall business plan thoroughly and accurately before leaving work as a worker. 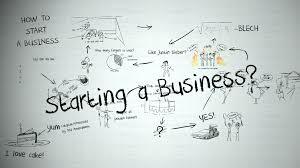 How to refine the business idea? see continue reviews. The first rule, be aware, start your own business that means you will get out of the comfort zone where it has been giving a lot of income. Well, when the business starts running, then do not be surprised will be many changes that make you surprised and all you have to face alone. In the early days of starting a business, you have to find new job candidates, train them on how to work, create rules that bind employees to even help employees fix work tools that might be damaged. This is not an easy and very tiring shortcut because a lot of work needs to be sorted out right away. Remember, everything will be done from scratch without a teacher teaching him. So, ask yourself, are you tough enough to do it and are you ready to learn more when starting a business? this is the Second Rule, which you must obey. Learning and continuing learning from the various business conditions faced will make you more skilled at solving various problems. The key word, is communication, build a wide communication network either with your employees or anyone who is already experienced in the business world. This factor is often forgotten and ignored for beginner business. They start their business just because they feel like having a bright idea like the sun during the day. And just having the idea that's not enough, you need advice from the circle of people closest like friends, family to refine the business idea. By knowing the opinions of the closest people, such as family, they will be ready to survive the financial crisis phase in the early stages of starting a business. Make sure your partner agrees with your business idea so that support will flow without stopping. Discuss with your spouse, some emergency financial conditions that you are expected to face when the business is already underway. What is your backup plan that should be prepared in the face of the unexpected condition? No less important, when deciding to stop working from the previous office, keep maintaining the network with friends office. Later, this network will be the center of information dissemination of the business you're in. At least not the former colleagues are the first prospective customers who encourage the development of your business. This means you are so close to achieving success.